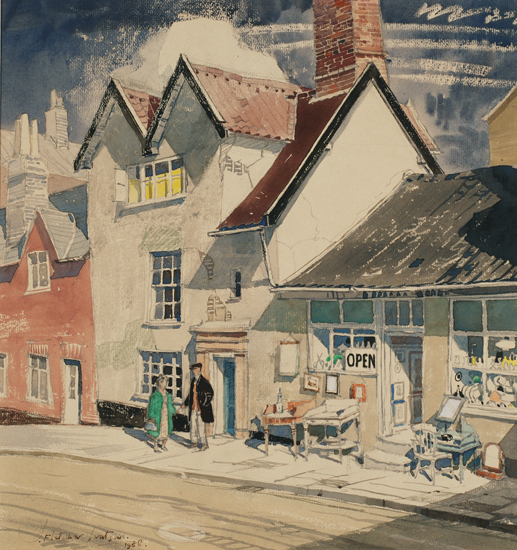 James Fletcher-Watson was born at Coulsdon in 1913. He studied at the Royal Academy School of Architecture. James worked as an architect for several years in Norfolk before moving to Gloucestershire. He was elected an RI in 1955 and RBA in 1957 and also exhibited at the RA 1943-61 as well as in the provinces and abroad. An architectural and landscape artist in watercolour; he received an Honourable Mention at the Paris Salon for a picture of Norwich Cathedral. 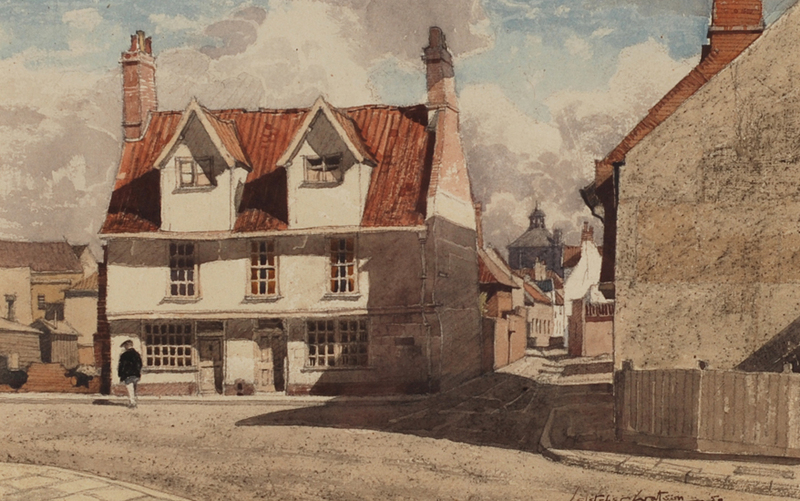 James Fletcher-Watson was a watercolour painter of Norfolk scenes for most of his life.